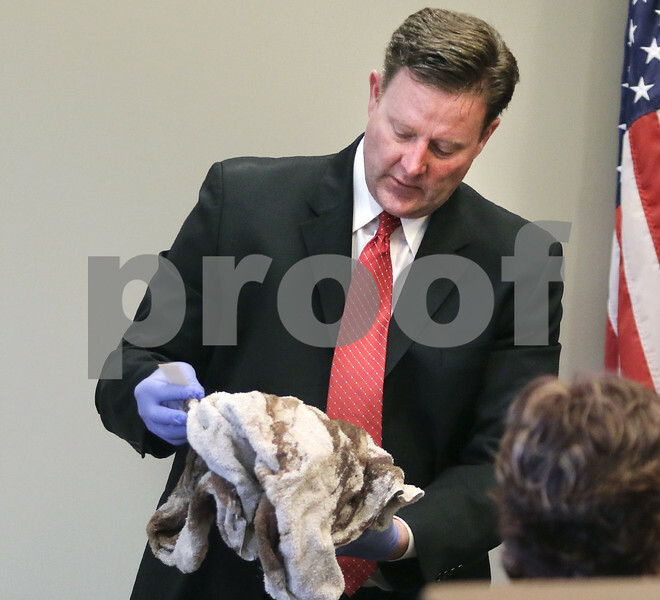 Scott Schwertley, DeKalb County assistant state's attorney, enters a bloody towel into eveidence during the trial of Michael Kulpin Tuesday at the DeKalb County Courthouse. The towel was discovered in the dumpster outside of Kulpin's apartment the night the body of Moorea Des Roches was discovered inside a closet at the location. Kulpin is charged with the murder of Des Roches.